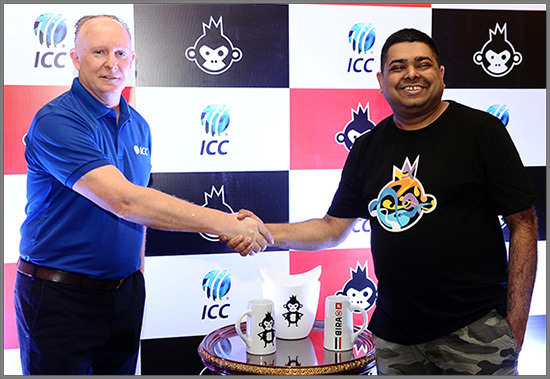 Nov 28, 2018, New Delhi Bira 91, one of the fastest growing craft beer brands, has entered into a major five-year deal with the International Cricket Council (ICC). The partnership, which runs through 2023, confirms Bira 91 as the official sponsor of - ICC global tournaments including the ICC Cricket World Cup, ICC T20 World Cup, ICC World Test Championship, ICC U19 Cricket World Cup and the ICC Women's World Cup. Speaking of the partnership, Ankur Jain, Founder & CEO, Bira 91, said, "The ICC partnership is a key moment for Bira 91 as we embark on creating the first global consumer brand to come out of India. A generational "change of guard" in beer is underway as consumers shift towards beers with more color and flavor. World cricket is undergoing a similar generational change as it expands to more dynamic formats, newer geographies and consumers. We are excited to be part of the 'greatest celebrations of cricket' on the international stage and adding consumer experience driven activations by our innovative and delicious beers." ICC currently has 104 member countries. It continues to expand its global footprint and reinvent the game with the vision of making it more relevant for younger and new spectators including females, which is in sync with Bira 91's ambition. "Imagined in India, for the new world" being the brand's core philosophy, the brand aspires to drive a global shift in beer towards more flavour and colour. Commenting on the agreement,Campbell Jamieson, ICC General Manager Commercial said, "As we started negotiating the agreement with Bira 91, the natural overlaps in their ambitions and ours became obvious. Cricket has more than one billion adult fans and is a natural partner for this ambitious brand. The ICC is delighted to welcome Bira 91 on-boardas an official partner and into the world cricketing family, and we look forward to working together for the next five years to deliver a strong partnership at ICC global events." With the global craft beer market projected to reach over $502B by 2025, and the market expected to witness substantial growth over the forecast period due to the rising demand for craft beers - Bira 91's growth comes at an opportune time to corner a rising market and reach emerging consumers.